Recently there has been a big focus on this blog on cocktails. The cocktails are not just a mixed drink to have fun, it is cooking since the mixing is a form of art, as was stated in the book the “Fine art of Mixing Drinks” published in the 1900s and still in print today. Although the book describes 6 basic cocktails there are some other classic cocktails that are not only worth mentioning, but it is important to learn the right method of making them. I am not a bartender or very experienced with drinks. There are some drinks however that I have master and I do hope that you will too. I am here to help. 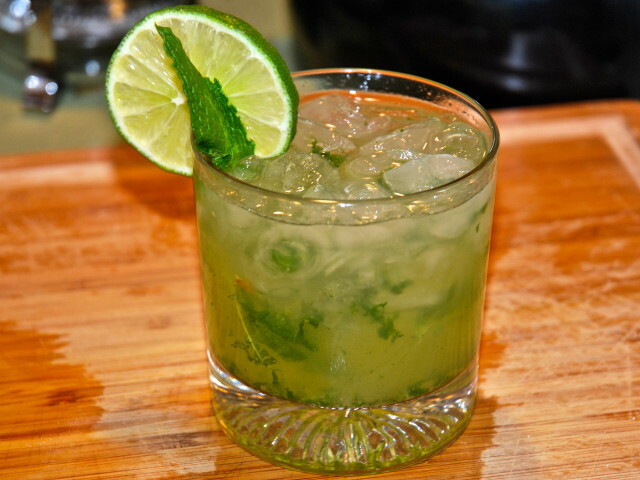 The cocktail today is the Mojito.